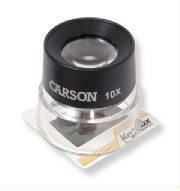 17.5x power jewelers stand magnifier. Allow examination of objects close-up. 5x power jewelers stand magnifier. 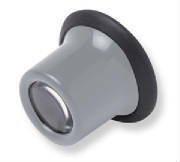 Allows examination of objects close-up. Headband is an adjustable soft rubber strap. Provides comfort during extended use. 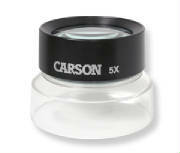 For use with any jewelers eye loupe magnifiers. 4x jewelers eye loupe magnifier. Soft rubber cushion provides comfort. 7x jewelers eye loupe magnifier.